U.S. EPA, Washington D.C. "You made more than a dent in Delta's workplace culture!" They are your hiring pool. They are your professional consumers. the disability community is in the workplace and as consumers in the marketplace." phenomenal job you did for us." 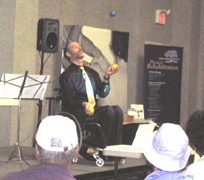 ...shifts your very workplace culture forward to an authentic understanding of disability. He makes them real people, real colleagues, real candidates. And when an existing employee acquires disability, having heard Gary speak or teach a workshop, they will think first in terms of adapting to remain onor return to their job effectively. 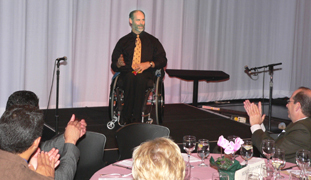 disability and its incredible transformations." ...honors your work and the difference you make in people's lives. 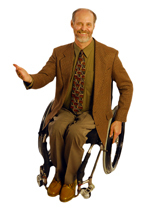 Having benefitted from an intensive rehabilitation experience, the services of vocational rehabilitation, and support from various other professionals, Gary affirms – if not re-energizes – the mission of professionals who interact with clients with disabilities. us feel that you are talking to us individually."